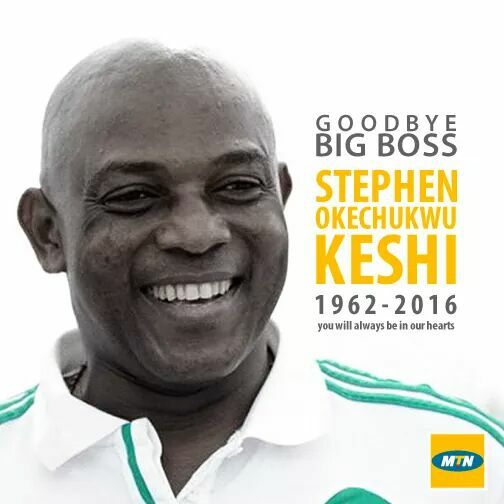 The sporting community woke up today to hear the very sad news of the unexpected demise of the African soccer legend, Stephen Okechukwu Keshi who passed on today being the 8th day of June, 2016. The former Nigerian National Team defender and Manage was born on January 1, 1962 and he was one of the only two people, along with Egypt's Mahmoud El-Gohary, to have won the Africa Cup of Nations as both a player and a coach. According to Wikipedia, Stephen Keshi On 16 November 2013, Keshi's Nigerian team secured qualification to the 2014 World Cup by beating Ethiopia 4–1 on aggregate in a play-off. RIP the football legend! Rest in peace the humble servant!! Rest In Peace The record setter!! !